Is it available in RHD? I liked the 1980's pinstripe in 1980's models. I dislike the 1970's tartan in 2010's models. I get your point. 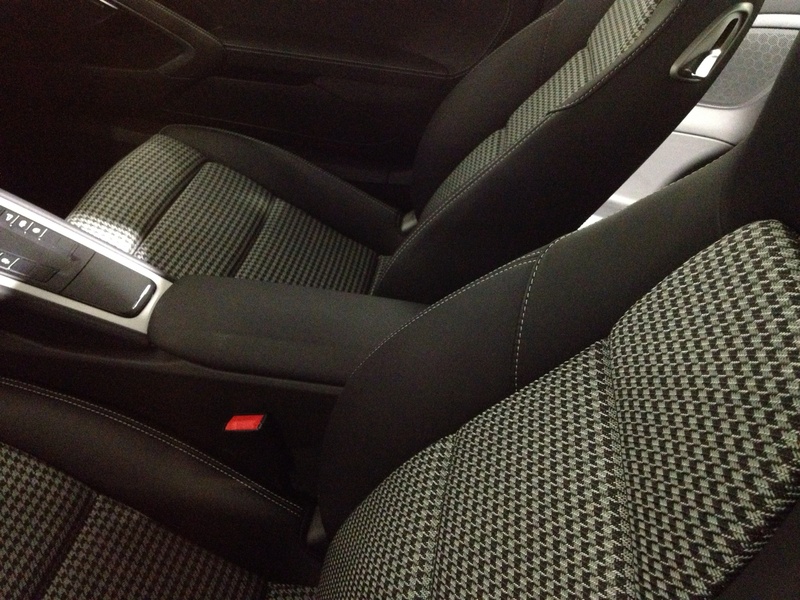 But as it's a cynical marketing exercise in nostalgia, I think the hounds tooth is as good as any seat fabric from the past. 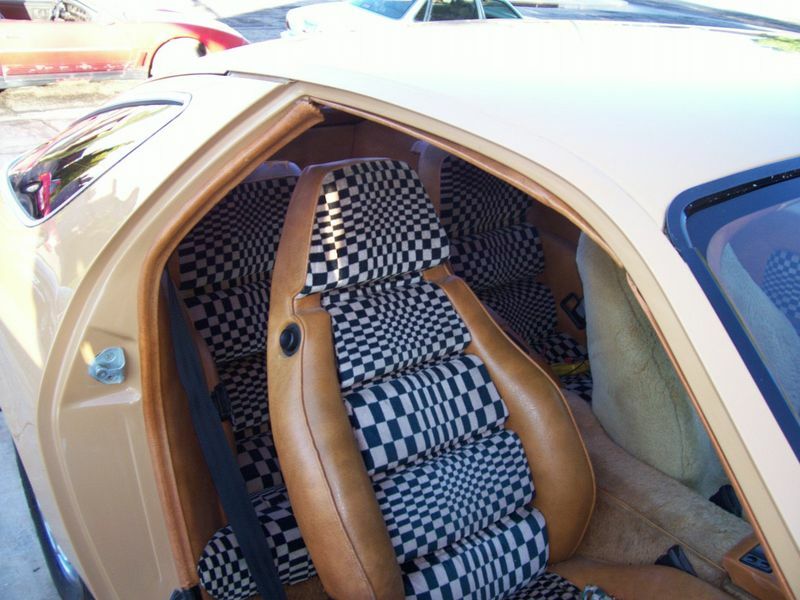 Could be worse, the 928-era fabric didn't make an appearance. Stare at those seats too long and you need a downer. Love it, especially the slate grey. 4k more than a 4s but you get sports exhaust a 4s shell and a few bits more (not sure what). Looks as though the powerkit is cheaper at 7.6k. Problem is a standard 2s or 4s you would probable get a good 6-10% off list where as I doubt they would budge so it probably works out cheaper to buy a 4s or 2s and add more toys. but if I could afford 100k.........I would ordering in heart beat! The reason the PowerKit option is cheaper than normal Carrera pricing is that the PowerKit pack has been supplied inclusive of PSE (ie XLF + X51) since 997. As the 911.50 comes with XLF as standard, the PowerKit option is just that (X51), not the PowerKit pack. In isolation, the three colour-ways and pieces of bling look OK. However, in my opinion, the design features and other minor tweaks probably do not do justice to celebrating the world's greatest all-round sports car on its 50th anniversary. Add in a few options and a power kit to the 50th SRE and you're in reasonably speced GT3 territory - unfortunately, nostalgia would not win over technology/ability in this instance and it would have to be a GT3 every time. Sorry for the negativity. The more I think about (or look at) it, the more desultory and disrespetuful this offering is. Some new (borrowed from model higher up the food chain) wing mirrors, blingy trim, some "limited edition" alloys (until next model year, when they will be optional across the range, like the SportClassics), a few ticks in the option boxes (included in price uplift), comedy seat patterns and some badges are par for a bi-annual Ford Fiesta "special edition", not one of the worlds longest surviving motoring icons celebrating its Golden Jubilee. First line of first post. As people have already said, I think Porsche should have added the beefed-up power-pack to this model, and perhaps have charged a few extra 000s to compensate. Love it - Anyone care to guess how many will make it to the UK. There's conflicting reports of how many colours it'll be available in. Some say 2, others say 3. Personally I'd have just released one. I was really looking forward to seeing the 911-50 'in the metal' but when the time came I was sadly a bit underwhelmed by it. I still really like it in what I assume is 'geyser grey' - the colour in the feature that launched this thread - but imo it looks very ordinary in a darker colour. As GT4 (and others) has already said, it is disappointing that the spec' isn't top of the range. I would have thought that such a special anniversary edition would be 'specced' to the hilt and only available 'as is'. Photos I thought it almost worked, though fabric a bit too much. In the flesh a bit bland, perhaps the colour. Is it just me, or do some of the those road photos showing both cars make the 991 look like a mini Panamera?? Just you, I think jeffa. 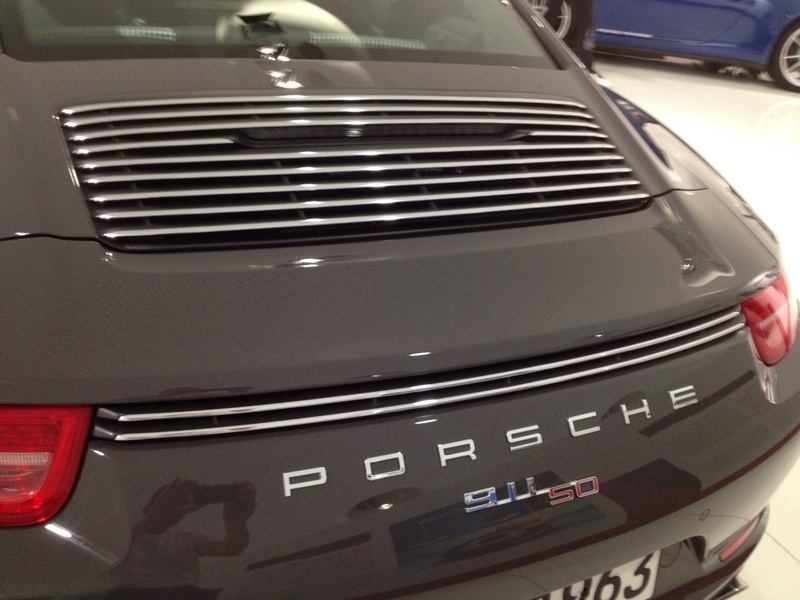 The 991 is a bit bigger than the 997 but the profile means it's still very obviously a 911. The facelifted Panamera looks more 911 like so I'm eagerly awaiting the 'Pajun' (Panamera Junior) hoping it will be a truer '4 seater 911'. The Panamera is 19 inches longer than the 991 and 5 inches wider so hopefully the 'Pajun' will be somewhere between the two.